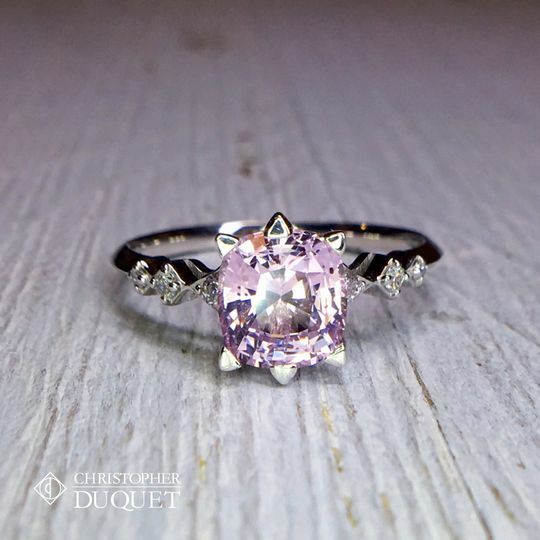 Christopher Duquet Fine Jewelry Design is a full-service custom design shop and jewelry studio located at 1224 Chicago Avenue in Evanston, IL. Our story starts with Christopher and includes the team of expert craftsmen and women that Christopher has assembled at his studio in Evanston. The team is drawn from around the country and around the world. 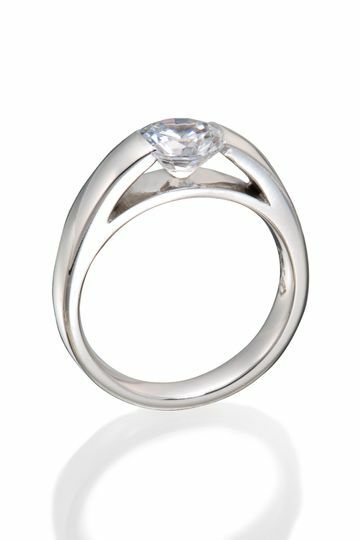 They are all outstanding professionals and specialists in their field who share a love of beautiful gemstones and jewelry design. 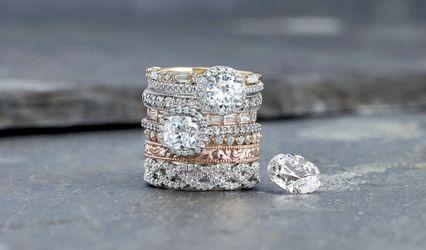 Their expertise and passion is what fuels this creative enterprise and keeps this studio at the top of their craft including Engagement Rings, Wedding Rings, Bespoke Jewelry Design and gifts. 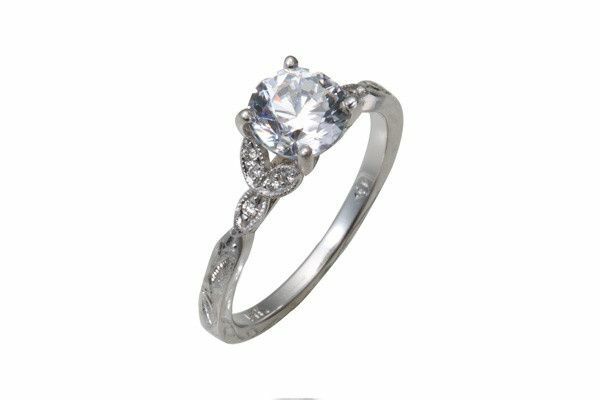 Vintage style engagement ring with bead set leaf elements and hand engraving. 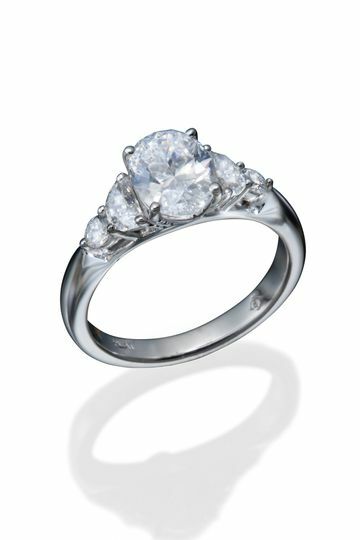 A classic diamond engagement ring with channel set round diamond accents of graduated sizes. 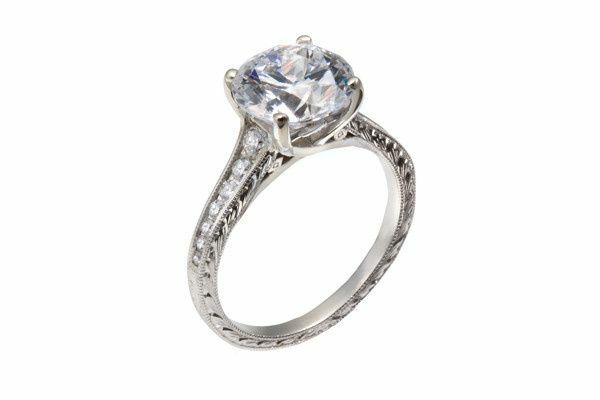 A modern engagement ring with a round diamond center stone and princess cut diamond accents. 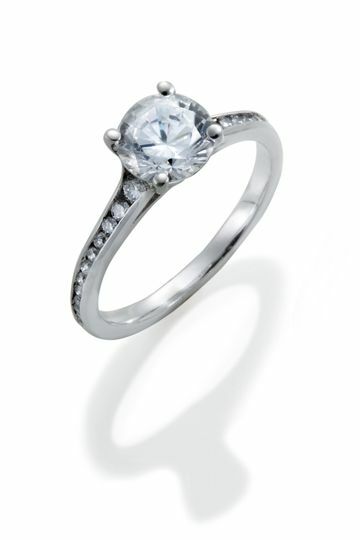 A highly modernized diamond engagement ring with a round diamond in a "tension setting". A platinum and diamond eternity band with hand engraving and milgrained edges. 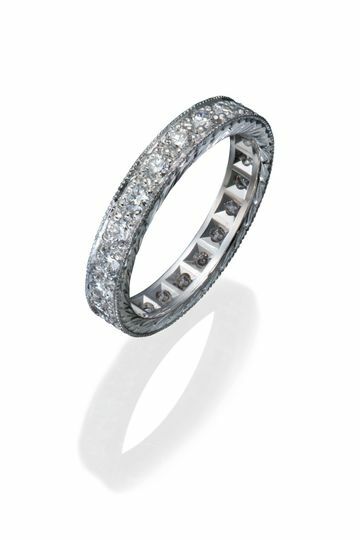 A lady&apos;s ultra thin classic eternity band with round diamonds in shared prong settings. A lady&apos;s classic eternity band with round diamonds in shared prong settings. Vintage style hand engraved lady&apos;s wedding band. 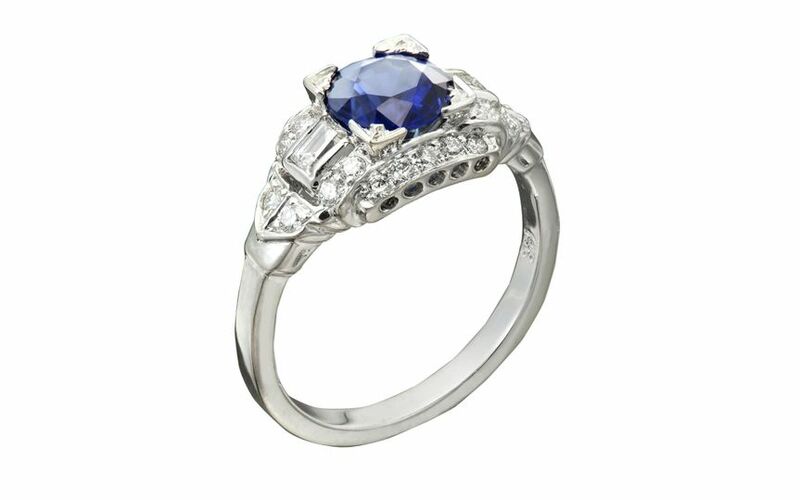 Classic sapphire and diamond wedding band with a vintage twist. 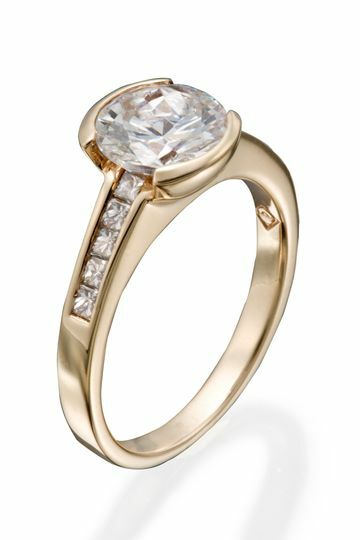 A lady&apos;s modern diamond wedding band with both round and straight baguette diamond accents. Modern gent&apos;s 2 tone wedding band. Classic/modern gent&apos;s hammered wedding band. Rose gold brings a new twist to this ultra classic gent&apos;s wedding band. Had a great experience working with Villi and the team at Christopher Duquet to design an engagement ring for my fiancee. I had a specific vision in mind and Villi did a tremendous job of bringing it to life while also staying within budget. From sketching out a design to picking a stone and producing the final product, I couldn't have been more satisfied with Villi's partnership and the overall experience. We will definitely be going back for our wedding bands as well! Thank you so much, it was a true pleasure working with you. We hope you have a wonderful life together! 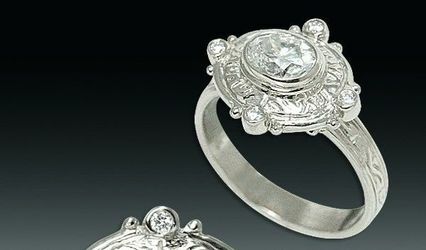 Restyle your heirloom ring here! I got a good value on some old gold that I brought in, and ended up not spending a dime of my cash monies on the gorgeous restyling of my mother's engagement ring. The people who work here are real artists. I love that you can see their workbench when you walk in. My husband designed my engagement ring with Villi. She was able to take the image and symbols he had in his mind and turn it into a beautiful ring. I have received countless compliments on the ring design. Months later we both went back to have our wedding bands made and once again Villi craftily drew and created my husbands wedding band, and two simple bands to go on either side of my engagement ring. 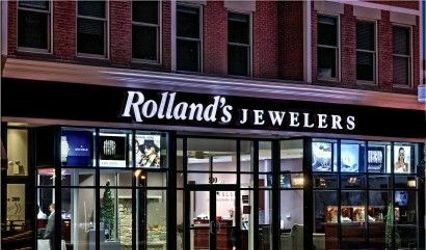 Every time we went into the store we experienced nothing but top professionalism and kindness from Christopher, Villi and the rest of the staff. I would highly recommend Christopher Duquet to anyone.